Keep your employees well-informed and up-to-date by providing them with all company news. 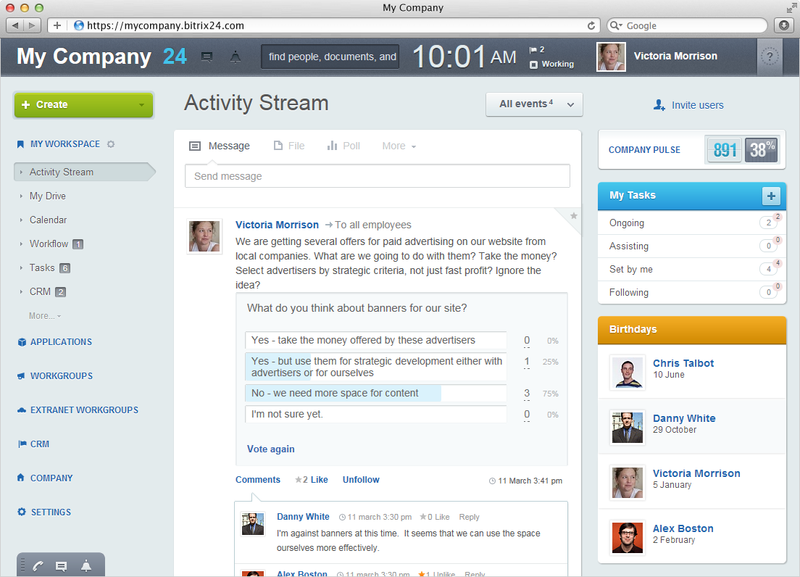 There are multiple way that the Office42 enterprise social network can be used for this purpose. 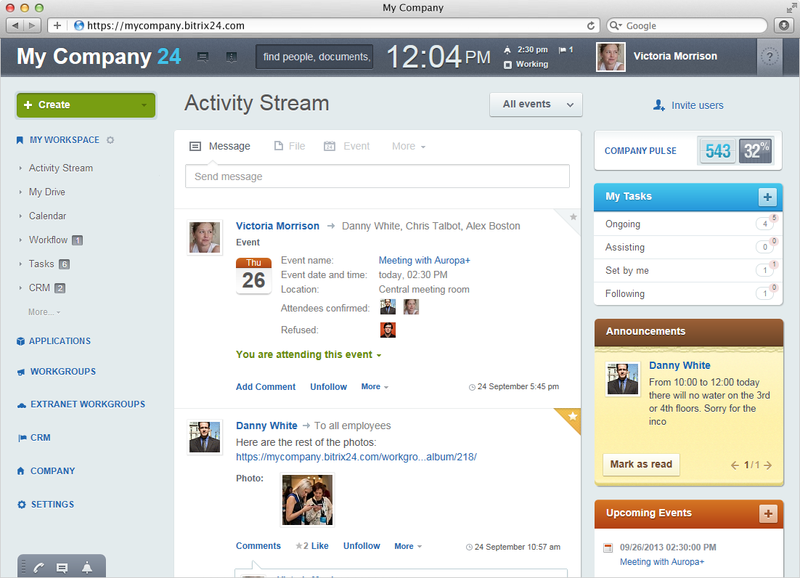 First of all, the Activity Stream can be used to send a message to all company employees or employees of a given workgroup or department. This option is a bit informal and can be used in situations for example when someone has found a mobile phone or another stuff or is looking for the owner of a car with it lights turned on in the parking lot, etc. 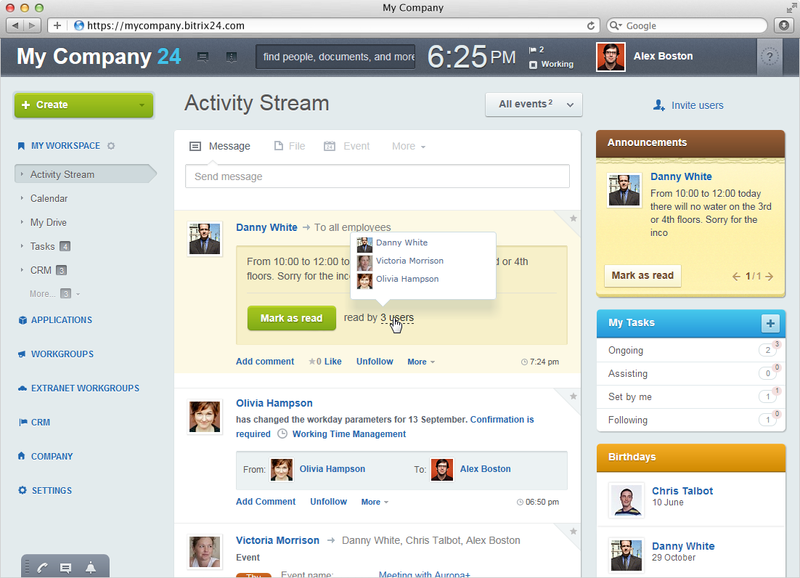 You can also make announcements in the Activity Stream if you select the Announcements message type. Your announcements will be highlighted in the Activity Stream and also shown in a separate box in the upper right corner of the front page. It will only disappear your employees confirm that they have read it. 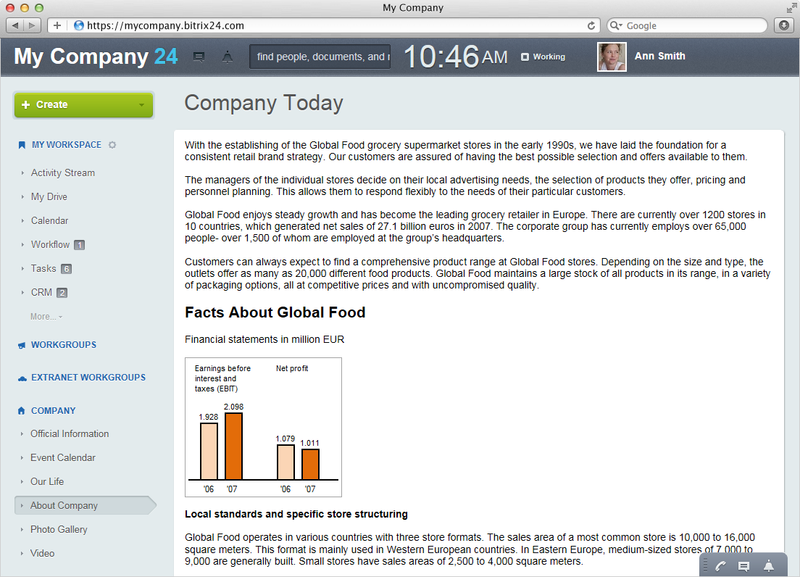 Office42 is also can be used to create polls for items that require employee feedback prior to making final decision. For instance, you can create a poll in order to determine how many employees plan to attend the company’s Christmas party or what which date, given a choice of a few, would be best for its planning. Polling is also a great way to gauge employee satisfaction with specific work policies, etc. It’s also possible to import external news and news feeds into Office42’s Activity Stream or into a news feed through RSS. This module comes with its own API and can be used to set up a feed for virtually any type of content with very little programming or customization. 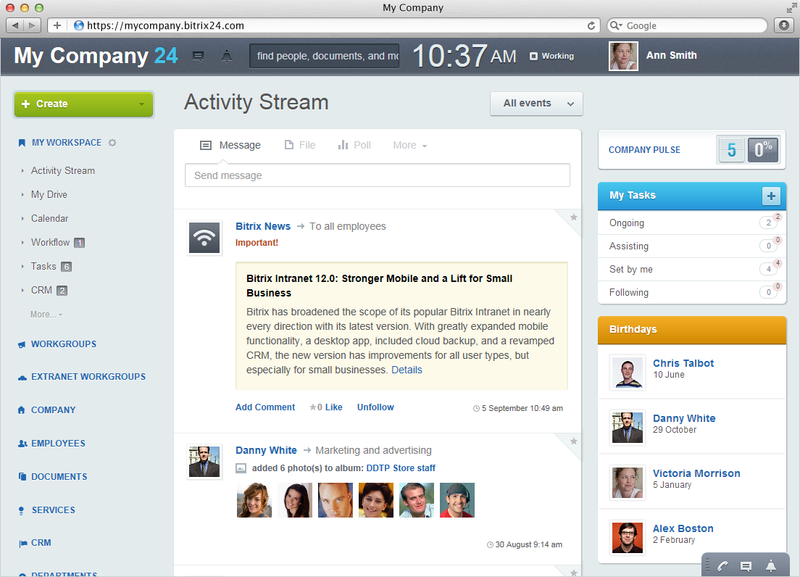 External feeds can be set up for subsets of users or for the entire company.